The oddest story coming out of camp this is week by far is the “retirement” of Dwayne Jarrett. I use the term retirement loosely because I’m pretty sure you actually have to do something before you can retire. Jarrett’s “retirement” from the CFL is about equivalent to me retiring from my career in biochemical engineering. 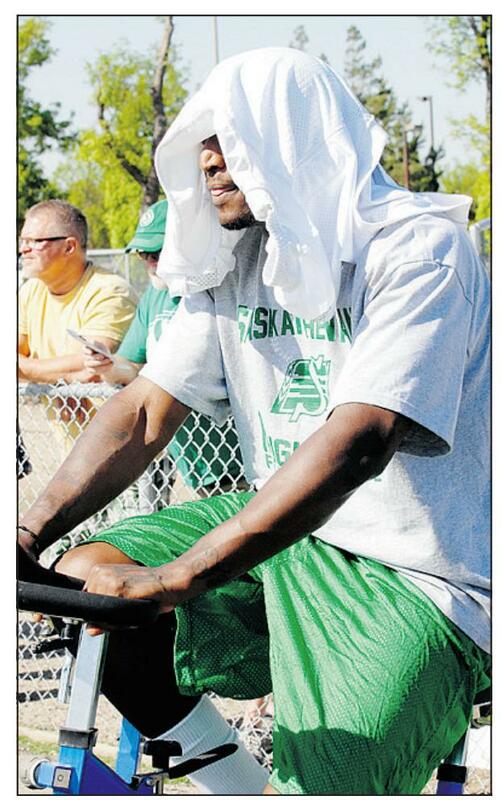 His stay with the Riders was so brief it makes Joe McGrath look not so bad by comparison. In the end Dwayne Jarrett will have about as much an impact on this team as Double J Jeff Jarrett. One thing to keep in mind though, because Jarrett retired as opposed to being cut, we retain his rights for the duration of his 2 year contract. Although the odds may seem slim at this point, this does leave the window open for a future return. Also, I’m still not entirely convinced that this just isn’t a way to free up a training camp spot until Jarrett is healthy. Plenty of players have “retired” their way through training camp… Bob Cameron made a career out of it. Any time someone makes my job easier I really appreciate it. I know Regina isn’t exactly a bustling metropolis but unless you are starting from a remote village in Ethiopia you should be able to get here in less than six flights. Next time I recommend Mr. Jarrett look into a travel agent. Then again maybe he just really likes accumulating frequent flyer miles. It would turn out to be the nicest thing anyone said about Jarrett. When I think of Jarrett as a Rider this will be the image that is forever in mind.